This week’s photo challenge directed us to take a picture of a subject from above. 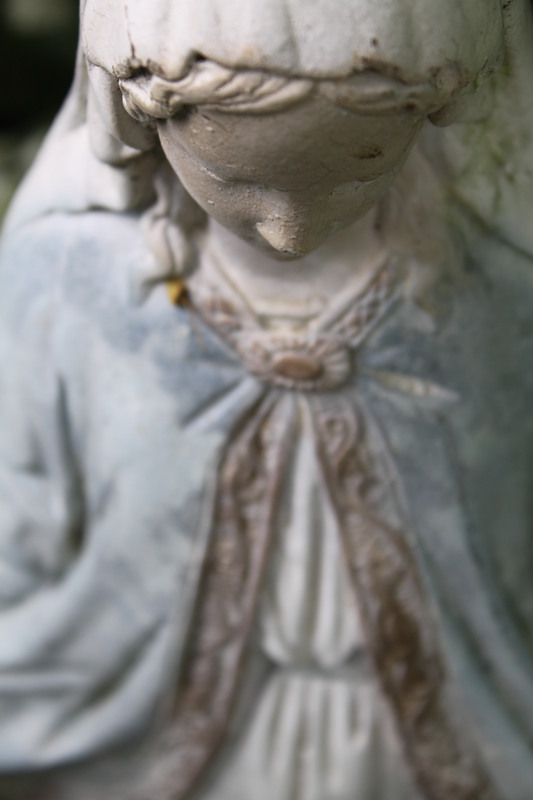 I have an old outdoor statue of the Virgin Mary which sits in a garden in my backyard. I have taken several pictures of her over the years. But this is the first time I have ever taken a picture of her from this angle. Needless to say, I love this picture. This post is in response to the Weekly Photo Challenge: From Above. Nice! Isn’t it interesting to see things from a different angle? Yes, I am amazed how it turned out! I can see why you love it, it is beautiful.